Image by Samuel Astin/Unsplash, Public Domain Dedication (CC0). Stephen Batchelor is a teacher and writer. 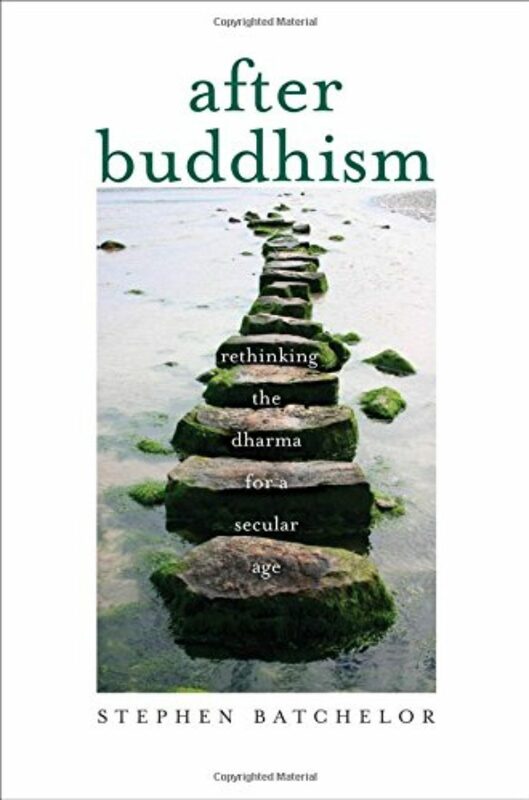 His books include Buddhism Without Beliefs, Confession of a Buddhist Atheist, The Faith to Doubt, and most recently, Secular Buddhism: Imagining the Dharma in an Uncertain World. Stephen Batchelor: Many of my critics would be quite happy for me to stop calling myself a Buddhist. And even some of those who like my work feel that the Buddhism gets in the way. But I disagree profoundly with that. The rootedness in tradition is central to me; and I see Buddhist tradition — I suspect like other traditions, also — as not something which is static and fixed and somehow preserved in formaldehyde, but it is something that is alive. Krista Tippett, host: Stephen Batchelor’s secular Buddhism speaks to the mystery and vitality of spiritual life in every form. For him, secularism opens to doubt and questioning as a radical basis for spiritual life. Above all, Stephen Batchelor understands Buddhism, without transcendent beliefs like karma or reincarnation, to become something urgent to do, not to believe in. 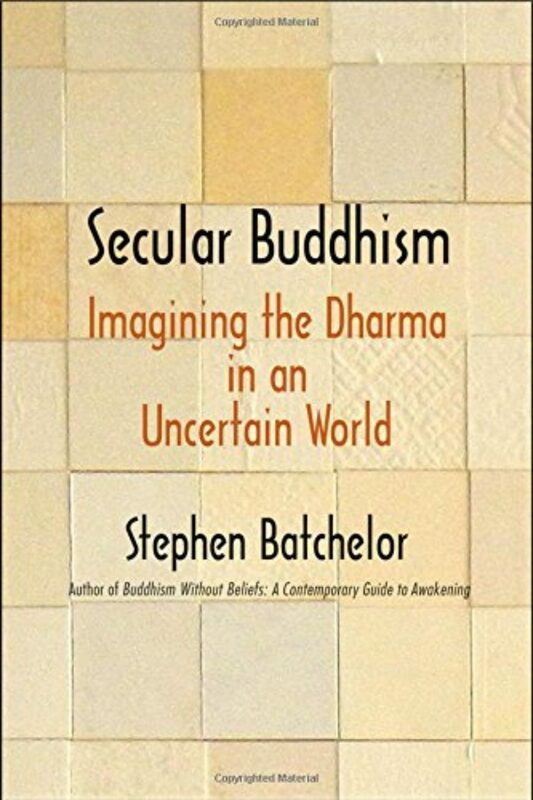 Ms. Tippett: Stephen Batchelor is the author of numerous books, including The Faith to Doubt, Confession of a Buddhist Atheist, and, most recently, Secular Buddhism: Imagining the Dharma in an Uncertain World. He grew up near London and traveled to India in the early ’70s, where, he has often written, he was immediately captured by Buddhism. He spent a decade as an ordained monk, living, studying, and writing in Tibetan Buddhist and Zen communities in Asia. I spoke with Stephen Batchelor in 2016. Ms. Tippett: I feel that, all the way through your writing, you talk about doubt and questioning as a radical basis for spiritual life. And I get curious, as I see that as such a thread in you and through your work, about whether you trace the roots of that — that reverence for doubt and questioning, or a sense of the primacy of that — into however you would describe the religious or spiritual background of your early life. Mr. Batchelor: I grew up in a sort of humanist background. My family had long departed from any active involvement in the church, so I didn’t have any religious education. I never went to any religious services. And in some ways, I never really asked those kinds of questions that religion would address. Mr. Batchelor: …very unusual, so I did feel different. And I attributed a lot of that to not growing up with a father, and this made me, perhaps, more introverted than I already was. And I do recall being at school, for example, and wondering why the teachers never addressed the quality of our own subjectivity; in other words, the kind of anxiety that I became aware of quite early on that struck me as both troubling, and yet, somehow taboo. It wasn’t something you talked about. Perhaps if I’d gone to Sunday school or church, these issues would have been addressed. But I was thrown back on a kind of deep curiosity about what it meant to exist. And that, I guess, is perhaps lying at the roots of my own subsequent fascination with doubt, with questioning, with astonishment, with wonder, as the very, very root of what we call spirituality or religion. I also remember lying awake at night as a child and wondering why I couldn’t stop the incessant outpouring of thoughts and chatter. The mind seemed endlessly restless. And that, perhaps, was a foretaste of what I would subsequently know as meditation. Ms. Tippett: Yes. Tell me, when you say you were immediately drawn — captured by Buddhism and immediately converted and drawn in, and really gave yourself, your life, over to it in Dharamshala and thereafter, how do you describe what captured you, what you’ve discovered there? Mr. Batchelor: I think what impressed me most was the presence of the Tibetan people, who had only recently gone into exile, about 12 years before. And I’d never met people like that before, people who were living in great poverty, great — enormous distress; and yet, had within them a kind of a stillness, a kind of radiance, in a way — and not just the lamas, but the ordinary people. I was immensely moved by that. I’d never come across it in England, in Europe, where I’d grown up. 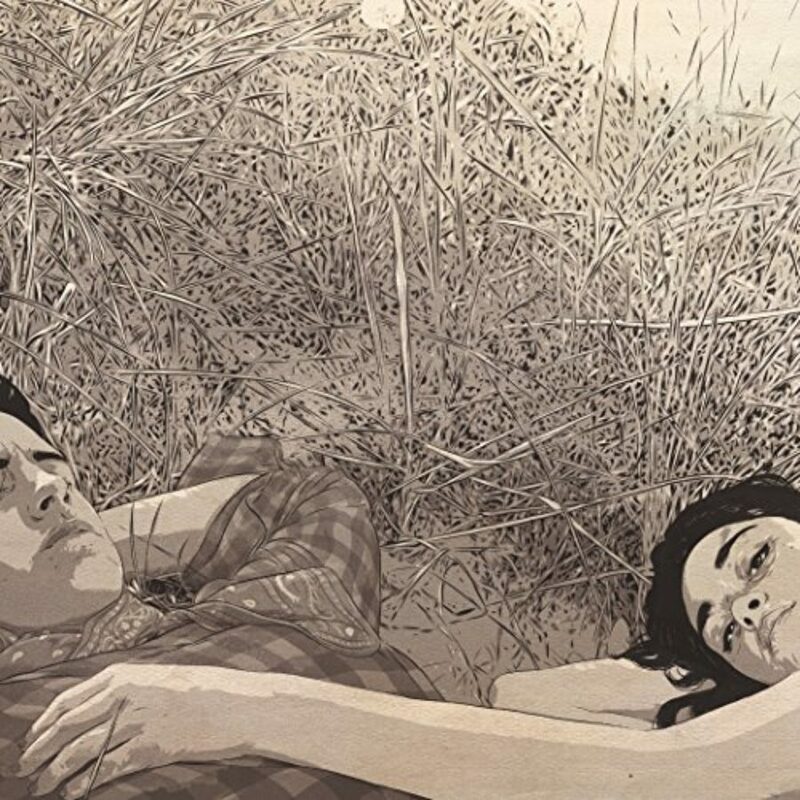 And at the same time, I’m also aware that there was a high degree of romanticism, idealization: Perhaps it allowed certain deep longings to come to the surface. Mr. Batchelor: In myself, yeah, and I was drawn — I was just so — I was completely — I fell in love with it. Ms. Tippett: Yeah, right; I think intellectually, as well — the theology, the worldview, the richness of the tradition. Mr. Batchelor: That’s right. Fortunately, I think, given my disposition, I landed in one of the Tibetan communities where the Buddhism was not so much about mystical experience or mandalas and all those things, but it was a very rigorous intellectual, critical tradition. That, too, engaged me. I wasn’t being presented with something I just had to blindly believe. Ms. Tippett: Although it is interesting, to me, that you did connect with particular intensity to Tibetan Buddhism, and then, to Zen. And in the spectrum of Buddhism — those are the traditions — certainly, the Tibetan tradition has a very developed supernatural — I don’t know; you could use different words for that, but — world of heavens and hells and a reincarnated leader. And Zen also has very, very mystical aspects. 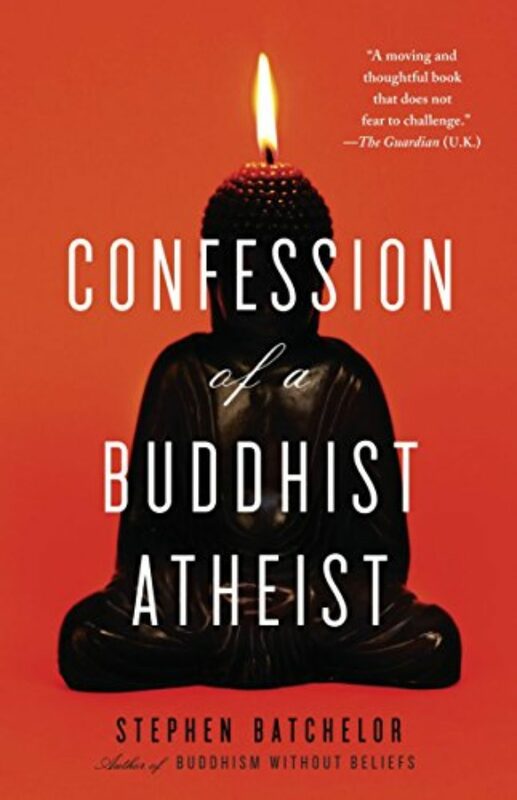 So it was kind of interesting to me, given that you now — you are a voice for what you call “secular Buddhism,” or your “Buddhist atheism,” but that’s really where you are rooted in Buddhism to begin with. Mr. Batchelor: I think I realized, when I got to Dharamshala, that there was a whole experience of human life that I’d been excluded from as a child. As I said, I hadn’t gone to church; I’d not been raised in that milieu. And I think, at some level, I had missed that. And so the exotic aspects of Tibetan Buddhism — its mystical, rather metaphysical teachings — again, filled a void within me. And so, initially, I was very drawn to that whole side of the dharma. But at the same time — and this, I think, operated as a constant tension through my training — was the rather unconscious attraction to the metaphysics, the mysticism. But constantly, I would return back to the emphasis on reason, on the emphasis on mental and intellectual clarity. The two coexist quite happily in the Tibetan world, and at a certain point, I think I got the religious thing, somehow, out of my system a bit. And I came back, perhaps, to the sort of humanism in which I’d been raised, and yet, now infused with a kind of Buddhist spirituality. Mr. Batchelor: Yes; no, that’s the point that, in a way, questioning became, for me, the real, prime source of my practice and my life. And it was an experience that came upon me. And I don’t hesitate to use the word “mystical.” It was not something for which I had been at all prepared. I was walking in a woodland, and suddenly, I was just overwhelmed by the sheer surprise that this was happening at all. And it struck with me a — it was like a visceral blow to the whole body. It was a deeply emotional opening to life, in a way I’d never even suspected before. And yet, it wasn’t presented to me as a set of solutions, or answers to human questions; but rather, it exposed what I still feel to be the utter primacy of the questioning, the doubting. But it’s not an intellectual thing. It seizes one’s whole body-mind with an undeniable sense of power, really. And I’ve pursued that ever since. And that still animates my practice very much, today. Ms. Tippett: I’m Krista Tippett, and this is On Being. 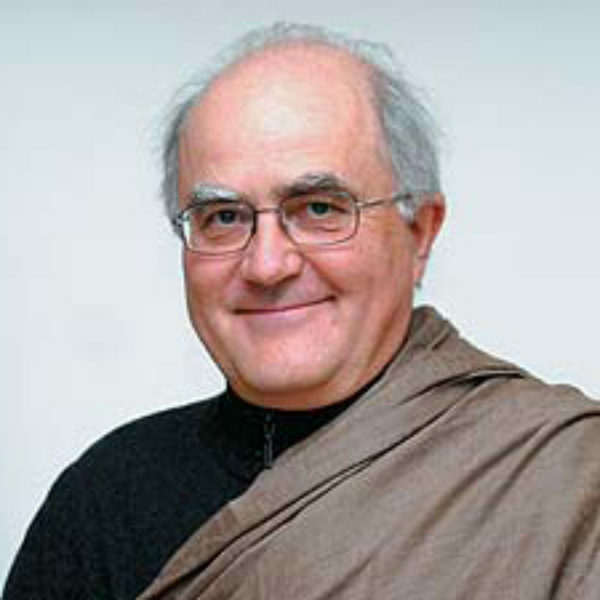 Today, with secular Buddhist Stephen Batchelor. Ms. Tippett: And you use the language of “coming out” as a secular Buddhist. Talk a little bit about that, why it feels that way. And I guess that’s also a reflection on the reactions you received — you’ve received, across the years. What I’m looking for is a way to recover what I think is very much at the heart of the Buddhist tradition that I don’t think is religious, in the sense of a formal religious set of beliefs and practices, but, once again, goes back to seeking a language to address these primary questions. And I feel, in many ways, the approach of what we might understand as the teaching of the historical Buddha is in some ways closer to Hellenistic philosophies — say, the skeptics or the Epicureans or the Stoics — who, again, we don’t think of as religious, but nonetheless, these were communities of men and women who took these sorts of questions with utmost seriousness and developed a way of thinking, a way of practicing, a way of living together communally, that, to me, resonate very closely with the early Buddhist communities around Gautama. And so what I’m seeking is both to recover something of the early tradition, and to not assume that it need take an overtly religious form but can find a voice that speaks to us in our secular — in our utterly secular condition. That may not be the language I’ll continue using, but I do find it’s useful. And I also find it gets a very — people respond to that. Ms. Tippett: I just want to put it out there — and I know you are very aware of this, yourself — that there’s a very loud echo in the way your — I don’t know; I don’t want to call it a critique of Buddhism, but the way you are reexamining Buddhism, with movements in monotheistic tradition, and certainly Christianity. And the language you use about looking at the canon — “excavating” the discourses and the life of Buddha; a historical, critical analysis of text and tradition — there’s a long tradition of that, in Christianity. So how would you begin to tell or retell the story of who the Buddha was, what he was like, and how — the distinction you see between this historical Buddha and the Buddha that you are uncovering? Mr. Batchelor: Well, I have, as you seem to suggest, been strongly influenced by movements within Christian theology. And I think we are offered extraordinarily helpful tools to apply a similar understanding of the Buddha; his early teachings. And Buddhism does present the Buddha as an almost divine, godlike figure with rather peculiar physical characteristics; it presents the Buddhist teaching as a very well worked out, quite sophisticated metaphysical theory with different realms of existence and reincarnation, and so forth and so on. But when you go back to the text that our — the earliest source we have that predate the arising of the different Buddhist schools, the different orthodoxies, and so on, we start to get a rather different sense of what’s going on. The Pali Canon, which is the earliest collection we have to work with — when you read these texts, you really find yourself in a very human world. The Buddha and his followers, the different kings and other figures he interacts with, inhabit a quirky, rather tawdry human world that is very much like the world that we know today. And you find that so many of the Buddha’s teachings are not stated as final, dogmatic truths, but they emerge in the interactions he has with the people of his time. So the more that I’ve delved into this, the more I find that the carapace of the divinization of the Buddha, the metaphysical theories, begins to somehow fall away, and one recovers a deeply human setting and a deeply human discourse. Ms. Tippett: Here are some things you’ve said about the Buddha: “What is truly original in the Buddha’s teaching, I discovered, was his secular outlook.” Or here, you said, “The genius of the Buddha lay in his imagination.” So open those statements up for me. Mr. Batchelor: OK, well, I have been criticized, and I think it’s a legitimate criticism, that — am I, perhaps, simply finding what I’m already looking for? Do I cherry-pick? Ms. Tippett: Which is a human inclination, after all — one of those quirky things about us, right? Mr. Batchelor: It is; it is. So I do have to be cautious and careful in not simply projecting my own, preformed ideas of what Buddhism is and then miraculously finding that in the Buddha’s teaching. So I’m aware of those criticisms. But as you suggest, this is a natural, human way to enter into a dialogue with these texts. As a practicing Buddhist, I’m not interested in separating myself from these discourses by some kind of scientific objectivity that pretends to somehow see things in a cold, clinical way. These discourses are engaging for me because they speak to me. And I think this has always been the case. In every situation where Buddhism has gone into another culture, be it China, Tibet, Japan, it speaks to the needs of those people at those times and enters a kind of dialogue. And obviously, the passages, the teachings that speak to those people are the ones that meet their particular needs at their time. And the power of Buddhism to somehow survive is not because it’s preserved a certain fixed set of dogmas or whatever, but actually has managed, again and again, to reinvent itself. In other words, Buddhism’s survival has to do with the capacity it has to trigger imaginative transformations amongst those who are drawn to and engage with its ideas and with its practices. So what’s going on in modernity is really no different in principle to what went on when it encountered the shamanistic culture of Tibet — and Tibetan Buddhism necessarily carries that context very visibly — or the more Taoist culture of China and Japan, which — Zen, of course, is very infused with that. So, in that sense, I really feel that what I’m doing — and also, not just myself, but I think a whole generation of us are struggling to somehow articulate not a cold, objective account of what the Buddha was or said, but what his teachings somehow have to say to us in our condition; how they address the needs of our own suffering humanity. Ms. Tippett: You talk about — here’s something you said: “Just as Christianity has struggled to explain how an essentially good and loving God could have created a world with so much suffering, injustice, and horror, so Buddhism has struggled to account for the presence of joy, delight, and enchantment in a world that is supposedly nothing but a vale of tears.” I know I’ve changed the subject a little bit here, but it’s another way of struggling to get at the heart of what’s going on in the tradition. Mr. Batchelor: No, that’s right. 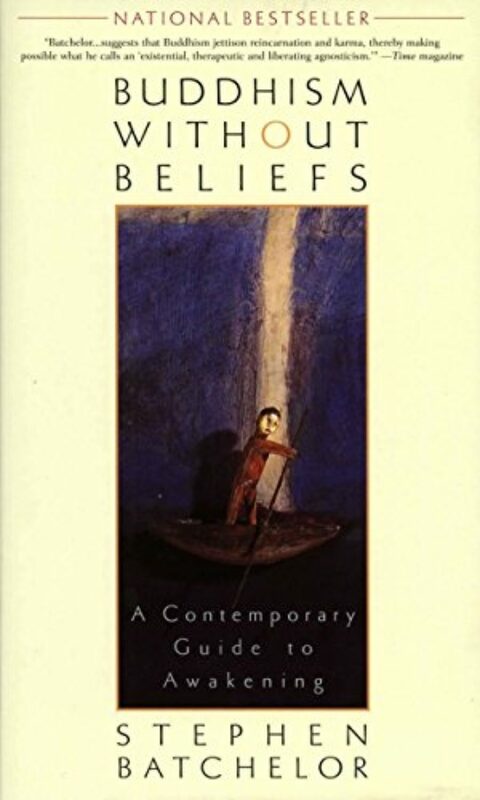 I think belief is the big problem, frankly: not belief as a kind of hypothesis — “Well, maybe this is true; I’ll give it a go” — but belief in the sense that “This is the way reality works.” And that often calls upon supernaturalistic-type explanations, be they theistic or be they the law of karma that operates over lifetimes. And this becomes, increasingly, the public face of, let’s say, Buddhism. Religion caters to people’s need for security. We do live in a highly contingent, unpredictable, changing, tragic world, and religion provides us with some sort of stable basis on which we can begin to make sense of all of that. So, I don’t — and I recognize that such consolation is, of course, much needed in our world. But I think that’s achieved at the cost of somehow obscuring what is radical, what is original, what is, perhaps, deeply unsettling in what the Buddha’s saying. I don’t think the Buddha is actually interested in offering us a consolatory view of the world that will just make us better able to cope with our lives. I think he really wants us to deeply engage with our lives, without premising that engagement on certain non-negotiable beliefs. Ms. Tippett: And one of the things that you point out is also that when we try to reduce these traditions to belief, it actually distances people from the immediacy of the mystery of life. And you talk about how Korean Zen also actually cultivates — and Zen, in particular, cultivates virtues of perplexity and astonishment and wonderment, and, in fact, doubt. Ms. Tippett: So that at the heart of the tradition itself, there is a contrast to that; that dynamic you’re describing. Mr. Batchelor: That’s absolutely right. And I suspect the same is also true in Christianity when you go back to the actual life of Jesus and what he struggled with in his life. But Zen was a movement that emerged in China about a thousand or more years after the Buddha. And I think it actually sought, again, to rebel against these consoling certainties of scholarship and belief and return to what the Buddha’s own experience was when he left, supposedly, this luxurious life he was brought up in and goes outside the palace, sees a sick person; an aging person; a corpse. That’s where the existential question, the sense of mystery, the sense of astonishment, the sense of deep, deep curiosity and bafflement begin. And his awakening I can only understand as some kind of resolution to those primary existential questions. And Zen seeks to recover that. Buddhism tends to become a set of answers to these questions, and the questions then slowly, but perhaps inevitably, slip away and get forgotten. So Zen comes back. And the great attraction, to me, to Zen Buddhism after my time with the Tibetans, was precisely this recovery of this primacy of questioning. And so our meditations in Korea were — for three months, twice a year — we would just sit in a darkened room and ask ourselves: What is this? And rest with that question. Nothing else. I loved it. It was marvelous. Mr. Batchelor: What is it? [laughs] Well, first of all, the words, the form of words — and they could just as well be “Who am I?” or — “What is this?” starts out as a form of words. You repeat it to yourself when your mind has achieved a degree of stillness and quiet in a more meditative frame. But once the words begin to sink in, once this question becomes almost a physical sensation; it begins to infuse your whole body-mind — at that point, you can let go of the actual form of words, and you can focus far more on simply infusing your consciousness of whatever is going on in that moment with this deep sense of curiosity, puzzlement, bafflement — it’s so difficult to find the right word. But it is really about opening up to life as profoundly mysterious. And rather than trying to solve that mystery, it’s actually about penetrating that mystery. And when you penetrate a mystery, it doesn’t become less mysterious. It becomes, if anything, more mysterious. So this source of questioning and doubt is something that, as you go into it, only intensifies; only becomes, in a sense, more pronounced, but that doesn’t lead you into a kind of a chaotic bafflement. It actually becomes a still — I think, rather serene — relationship that you begin to cultivate with life as such: that everything, every detail of life, every person you meet, every situation you find yourself in, is one that, in a sense, is deeply surprising, deeply odd. It lets go of — your habitual views and opinions about this, that, or the other have less firm ground to stand on. Ms. Tippett: I don’t even know if this fits, but I have to say, when I read you and hear you talking about surprise, I was thinking about the great rabbi, Abraham Joshua Heschel. Do you — are you familiar with Heschel at all? Ms. Tippett: I think he also — he talked about depth theology, and he also had this sense of mystery at the core, which in itself was orthodox and also, in its way, challenged everything that is orthodox; both, at the same time. And he would talk about surprise as a spiritual virtue. So here’s something he said: “I would say about individuals, an individual dies when he ceases to be surprised. I am surprised every morning that I see the sun shine again. When I see an act of evil, I’m not accommodated… I’m still surprised. That’s why I’m against it, why I can hope against it. We must learn how to be surprised. Not to adjust ourselves. I am the most maladjusted person in society” — which is really what you’re saying about — the Buddha also did not — that there’s something — that part of what these traditions are for is to unsettle us in ways that we need. Mr. Batchelor: Yes; yeah, that quotation is wonderful. I’ve not heard it before. But that’s exactly what — he says it far better than I can say it. I think that is just wonderful. I remember, also, after my experience in the forest in Dharamshala, I found very little in Indian Buddhist, Tibetan Buddhist texts that really spoke of this. I was kind of surprised, as it were. And that led me to actually seek insight as to what had gone on in me, at that point, in non-Buddhist traditions. 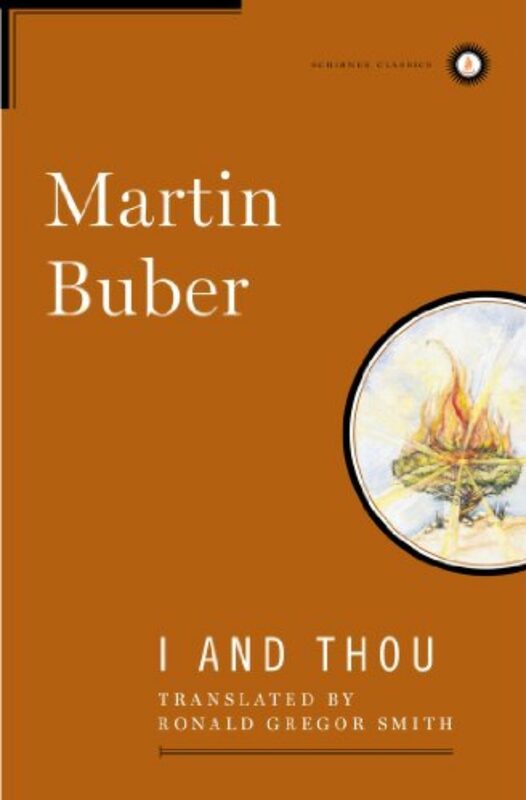 And one of the first texts that really spoke to me in this way was Martin Buber’s I and Thou. Again, this is famous because of this relationship, the centrality of this relationship, but there are other passages in that book in which he, too, taps into this deep sense of puzzlement, astonishment, surprise. I found it, also, in the work of the Catholic philosopher Gabriel Marcel. I found it in Heidegger. I find — and then you find it even in Socrates: “The source of philosophy is wonder.” And I was rather uncomfortable with the fact that the Buddhism that I was engaged with at that point didn’t seem to have much room for that. And that’s one of the reasons that I was drawn into Zen, because they emphasize it, make it very much the central point. Ms. Tippett: And an emphasis that you, I feel, are just living more and more passionately into, in your work is, then, this enlivening interplay that might seem counterintuitive on the outside. You say, “Above all, secular Buddhism is something to do, not to believe in.” It’s a lived piety. Mr. Batchelor: Yes, it’s creating the conditions whereby we can embark on a way of life that is not dictated by our instinctive reactivity — our habits, our fears, and so forth and so on — but stems from an openness, an inner openness, that is unconditioned by those forces and that allows the freedom to think differently, to act differently, to respond more fully, and, in doing so, to allow the human person to flourish: to realize more fully the potentials that each one of us has. Ms. Tippett: You can listen again, and share this conversation with Stephen Batchelor, through our website, onbeing.org. Ms. Tippett: I’m so aware, at this moment in time, that somehow, I feel, we are — and I would even use the word “evolving,” as a species, with — and science as a companion in this, and spiritual life in all its modern fluidity is part of this. And yet, it’s such a paradoxical moment, because when you talk about this quality of nonreactive stillness, not as an end in itself but as a way that can lead us into a way of flourishing, can be discerning and directive of the right action, right living — which is a Buddhist phrase — so much of culture conspires against nonreactive stillness; not necessarily maliciously, but I’m talking about how we are struggling to live with these technologies. And also, looking at the world writ large, and nonreactive stillness is the opposite of the reaction to a terrorist attack in Paris or things that happen closer to home that are less dramatic but equally devastating. You know what I mean? We’re — it’s such a complicated time. Mr. Batchelor: Yes; no, I completely agree. We live in a world where we’re bombarded with information; that we are pressed to produce and to achieve in a way that’s almost violent, at times. 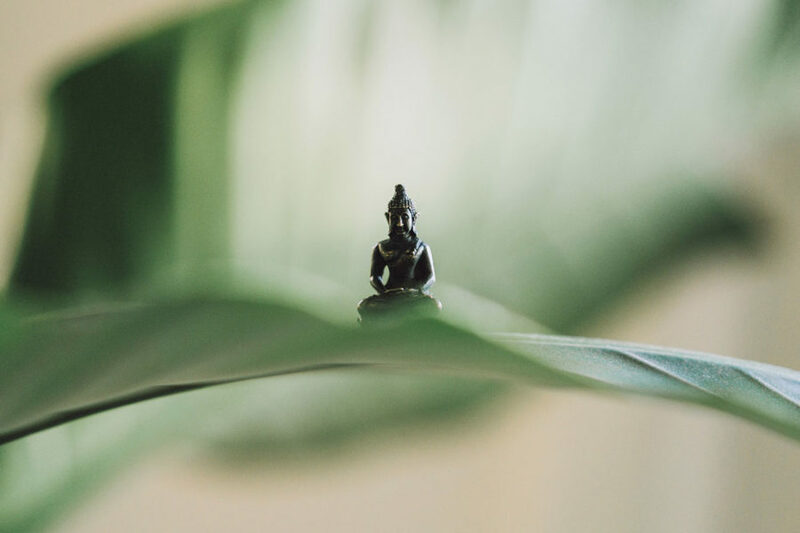 At the same time, though, what has really surprised me in my 40 years of involvement in Buddhism, is the sudden embracing in the mainstream culture of the practice of mindfulness. Now this, of course, is an essential Buddhist meditation that until recently was practiced by a handful of people, like myself, in India or in retreat centers. And suddenly, it’s become mainstream. Now, what’s going on here? This is a movement that, in its very essence, is questioning this frenzy of activity that our culture is so embedded in. I think it’s, in a sense, timely; that people are looking for something like a nonreactive “stillness,” if that word is helpful. And mindfulness allows them the very simple possibility of stopping: just pausing; opening up a gap in their thoughts and their feelings. And this, I think, is perhaps arising at this time because we are becoming conscious, as a community, as a society, as a human community, of this stressful overload that is so demanding and, I think, so undermining in many ways. It prevents us, I think, from really living fully. And I think people are sensitive creatures. They intuit this. They sense this. They don’t want to have a life that’s just dictated by these forces. So on the one hand, yes, what the dharma is teaching. But I think this is also true in terms of most of our religious traditions; they’re actually standing up to the drives of our nature and offering another way of living. I don’t think Buddhism is unique in that. But it does have methodologies, practices, that can be quite readily converted into somewhat secular forms without, I think, losing something that is essential to them. And it’s quite remarkable, the extent to which this has been picked up. Ms. Tippett: I experience you, also, to continue to be in a very vital and creative relationship with tradition, including the tradition that has transcendent aspects. You revere the Dalai Lama, and you speak about how much you’ve learned from him across the years. But there’s no greater embodiment of the supernatural belief system of Tibetan Buddhism, in particular. But I sense you choosing to live in that place of relationship and even reverence, for that. You’ve said — Alain de Botton, who I’ve also had on the show, who suggested in the future we might have atheist cathedrals — but you said that you think the holy places, including the holy places of the past, are necessary and to be honored. Is that correct? Mr. Batchelor: That’s true. I realize that sits, perhaps, for some, uncomfortably with some of the other things I write, which have a secular, pared-down feel to them. But one of the things that I greatly cherish is pilgrimage. And pretty much every year for the last few years, I’ve been going back — to India, primarily— and visiting these ancient sites. Buddhism, of course, no longer really exists in India. But there’s some wonderful places, both those where the Buddha lived and taught — we’ve now identified these places; we can visit them — and, also, sites of ancient Buddhist monasteries in India, such as Ajanta, and elsewhere. And I find — particularly, perhaps, as a somewhat intellectual person — that actually, physically going to these places that carry these memories, let’s say — I don’t see this in a weird, mystical way of vibrations or something like that — but when I find myself in these places, and I sit quietly in such places, and I bring to mind what has occurred in these places in the past, it connects me to the tradition in a nonverbal way that is somehow a kind of literal “earthing” of my practice. But I must say that when I find myself trying to replicate such practices here in the modern West, it doesn’t quite work in the same way. I think, nonetheless, we do need to be open to the fact that we’re not just looking for a philosophy of life. We’re looking to create spaces, spaces where we can come together as strangers and publicly celebrate what we value most deeply. And I think Alain de Botton’s idea of atheist cathedrals — one might think of that as slightly tongue-in-cheek. But I think he has a very important point. I think we need spaces; we need communal spaces that are not, in a sense, overly inflected with our traditional religious traditions but allow people to congregate — perhaps in silence; perhaps by reciting poetry or prayer or whatever it might be — just to recover that sense of human belonging. But what he meant by that is that tradition has this heft. It has its problems, [laughs] to state it mildly, but it’s a work of generations. And our traditions hold great beauty and wisdom. And he said, you can say that you’re throwing the old creed out, but as soon as you start creating that new community according to your vision, you do, in fact, start creating a new creed; and the danger is that it cannot have the gravitas or the wisdom of what came before. Is this something you think about? Mr. Batchelor: I think about this a lot. Many of my critics would be quite happy for me to stop calling myself a Buddhist. And even some of those who like my work feel that the Buddhism gets in the way. But I disagree profoundly with that. 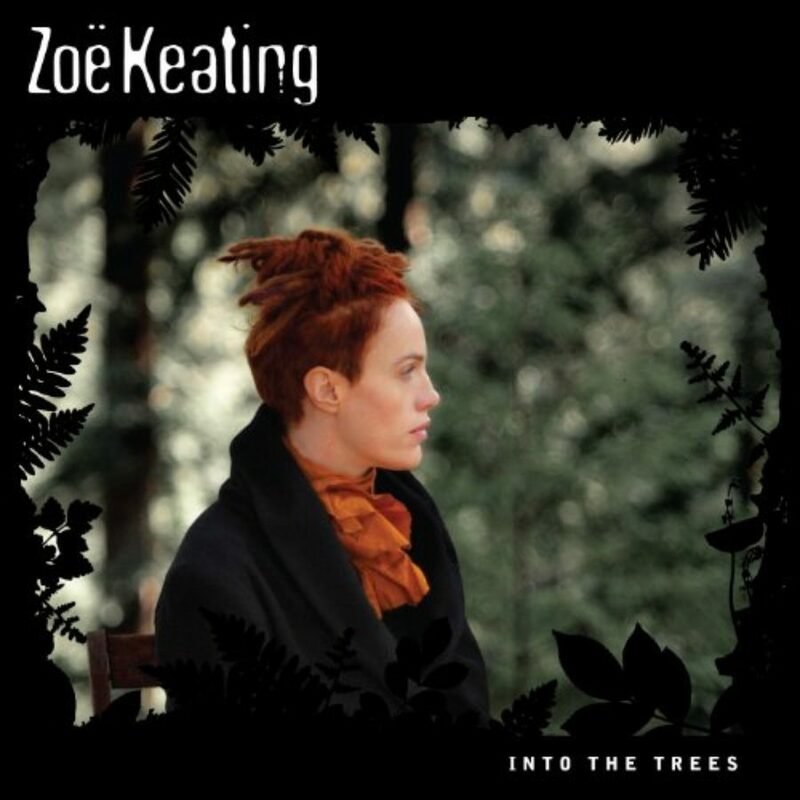 The rootedness in tradition is essential, to me; and I see Buddhist tradition — I suspect like other traditions, also — as not something which is static and fixed and somehow preserved in formaldehyde, but it is something that is alive. And it evolves, and it changes over time. I believe that that change is not something that can be speeded up with all of our modern technologies and access to information. I think of Buddhism as more like an organism. Ms. Tippett: There’s not an app for that. Mr. Batchelor: No, not yet, [laughs] although they’re working on them. Mr. Batchelor: But even the apps — which will come, no doubt; in fact, they already exist — I just think are the ways in which people can access the wisdom of these traditions in ways that they’re used to doing so many other things now. So, in some sense, I find it helpful to think of being rooted in a tradition without being stuck in a tradition. But I do feel, quite passionately, that we need another kind of language in order to articulate this tradition in ways that speak to our sense of modernity, of the kind of creatures we are now, in a world informed so much by the natural sciences; a sense of being sentient creatures who have evolved on the surface of this planet that’s spinning around the sun. This is a worldview quite different from that in which Buddhism has grown up. Ms. Tippett: You’ve been speaking of a phrase for a while, and it’s the final chapter in your book After Buddhism — this notion of a “culture of awakening.” And I wonder if you would talk a little bit about that. Mr. Batchelor: This idea first came to mind when I started to ask myself the question: Is Buddhism a religion in the conventional sense? And if it’s not a religion, then what is it? And this gave rise to the idea that it’s a culture. And of course, all religions are embedded in some sort of culture. But I’d like to put the emphasis more on the culture — which might have religious elements within it, but to emphasize that: that a culture arises out of communities that share common values and practices; and over time, they generate a common sense of what matters in life, a common ethical, aesthetic, philosophical sense of the world. They live communally, according to similar principles. And there is a beautiful parable in the early Buddhist texts where the Buddha sees his Eightfold Path, his way of life, as leading not to nirvana, which is the traditional view, but leading to the rebuilding of a city. And that, to me, is a very, very valuable source for thinking of Buddhism as a culture. I like to think — and again, I might be wrong — that the Buddha was concerned not with founding another religion; he was concerned to establish a set of norms, which are enacted through the Eightfold Path, that would give rise to another kind of civilization. That might be rather grandiose today, to seek for another civilization. But a culture, I think, is something that actually is emerging in, let’s say, modernity. I think, in America, particularly, when I come here to teach and to lead courses and so on, I become very much aware that over the last 30, 40 years, a Buddhist culture is emerging. And it’s inflecting not only formal Buddhist centers, but also, we find it reflected in literature, in poetry, in music, in the arts in general, in philosophy. Buddhist ideas are beginning to infiltrate into our wider sense of life, in modernity. America’s quite distinctive here. 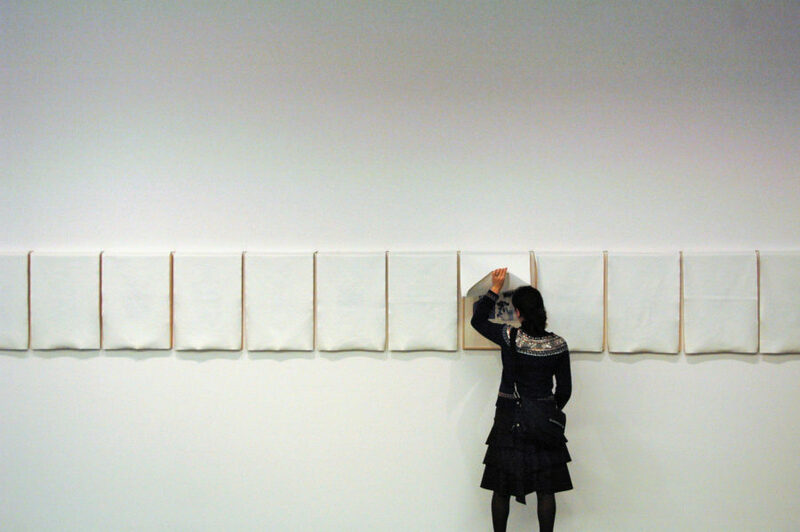 There are many prominent artists from different disciplines who self-identify as Buddhists. Mr. Batchelor: And likewise, I see this advent of mindfulness that is spreading so rapidly as another indicator of what Buddhism is providing for us. It’s not a religious belief, but a kind of cultural inspiration. How that will play out, of course, we don’t know, but I do feel it’s almost assuming, now, a kind of unstoppable momentum. Ms. Tippett: And actually, I wanted to read some language from your 1989 book, The Faith to Doubt, which is a wonderful book. I just want to read it because it’s beautiful, and I think it’s a wonderful way to come back to where we started: “The way of the Buddha is a living response to a living question. Yet whenever it has become institutionalized, its vital response has become a well formulated answer. The seemingly important task of preserving a particular set of answers often causes the very questions which gave rise to the answers to be forgotten. 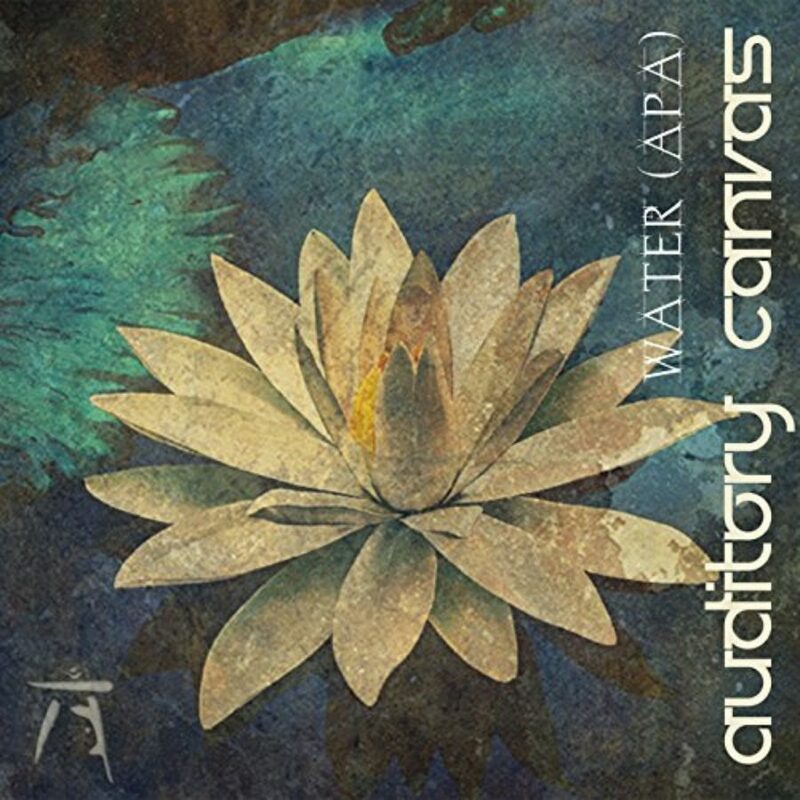 Then the lucid answers Buddhism provides are cut off from the stammering voice that asks the questions” — which is such an incisive analysis of what we do with religion in general that is something that I think modern people are acutely aware of and working with. Mr. Batchelor: No, I think that’s right. It’s interesting. It’s always, I find, strange to hear myself quoted back, because I wrote that book more than 25 years ago, but I would say it in exactly the same way today. That is a thread that I think continues to run through and animate what I’m doing. And I do think people are very sensitized to these questions. And yet, we often, in our culture, don’t really have a clearly formulated and expressed language, or cultural forms, as it were, that allow us to speak that language. There’s a kind of taboo in some ways, too, against these things. I’m not interested, really, in establishing Buddhism as another religion in this country. I think, really, its reach is probably far greater than that. And as you say, it’s something that you can be a Christian or a Muslim or a Jew or an atheist, and these practices are just as applicable — just as accessible, just as fruitful — no matter what your sort of belief frame might be. Ms. Tippett: [laughs] That’s right. I want to ask you — this is also from Buddhism Without Beliefs — “Since death alone is certain, and the time of death uncertain, what should I do?” So you are bringing the way Buddhist tradition has grappled with the ancient human question back to that question, what does it mean to be human, and how do we want to live, without the promise of something beyond this life. And you said — so, again, “Since death alone is certain, and the time of death uncertain, what should I do?” — you wrote, “Over time, such meditation penetrates our primary sense of being in the world at all.” And I wondered if you would speak, as we close, just about — in a very concrete way, whatever that means, yesterday or today — about how this observation, this questioning, penetrates ordinary life; an ordinary day in the world; your primary sense of being in the world at all. Mr. Batchelor: Well, the meditation on death that you’ve just read out is actually an adaptation of a Tibetan reflection on mortality. As a young man, I did this practice daily. I found, of all the Tibetan practices I did, it was the one that was most life-changing, to the extent that today, I find that my sense of being in the world is deeply infused with an awareness of how this may be my last day on Earth. 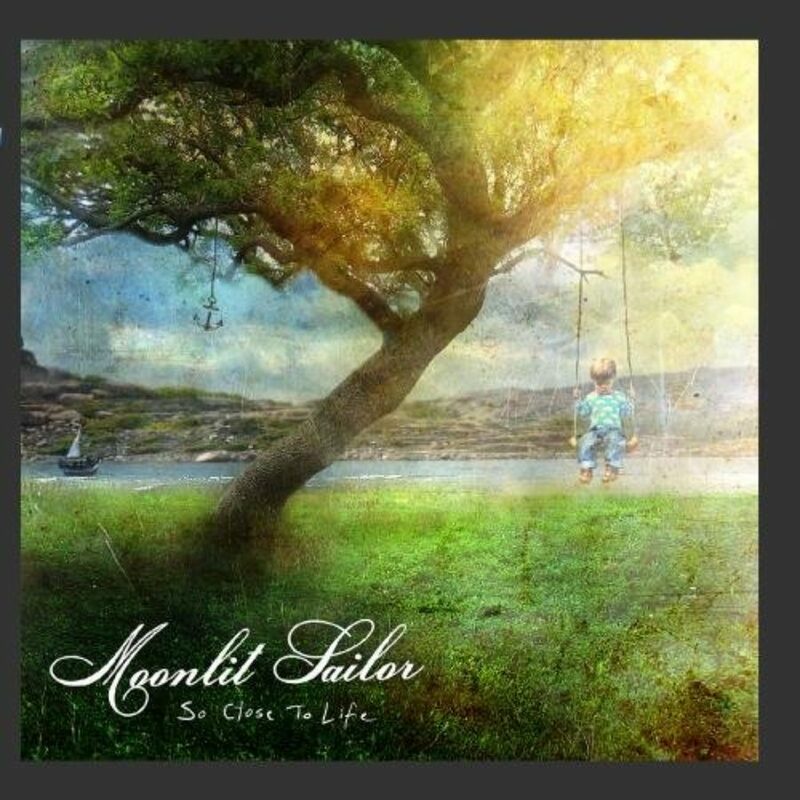 And these reflections on death are not in the remotest sense morbid or gloomy. The weird paradox is that the more you ask yourself that question — “Death is certain; its time is uncertain: What should I do?” — this brings you back to a very vivid sense that you’re alive. 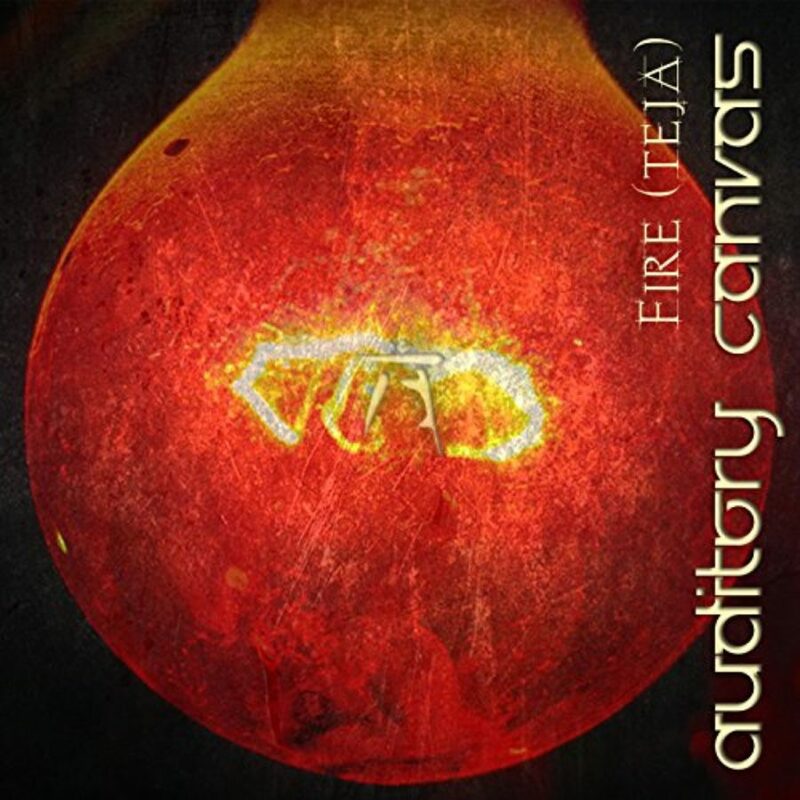 It intensifies the sense of aliveness, in terms of how you see the colors, the shapes, the leaves, the flowers, the — whatever impacts you visually or from the ears to the nose to the tongue to the body to the mind. It is a kind of intensifier of being alive, a kind of — almost a celebration of being here at all. And that is infused not only with a sense of wonder, but also with a sense of possibility, a sense of responsibility — that in what you say, think, do, this may be your final legacy on this earth. That, to me, is where this reflection leads me. And it’s with me — I wouldn’t say every single minute of every single day; I also have moments in which I’m not particularly proud of how I speak or act or think. But broadly speaking, I find myself constantly returning to what’s implicit in that question. And that has made my life, I think, very full. I’m deeply grateful for the practices that this tradition has brought me, and I very much hope that others, too, will find value in these ideas and it will allow their lives, too, to flourish. 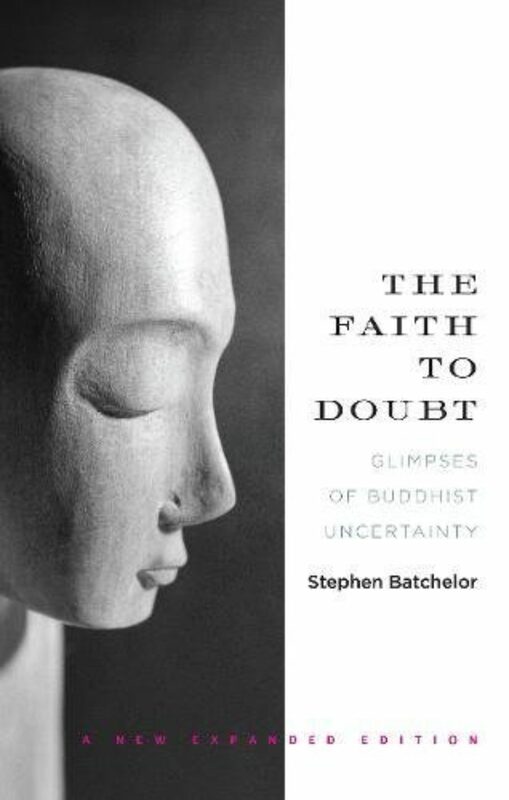 Ms. Tippett: Stephen Batchelor’s books include Buddhism Without Beliefs and Confession of a Buddhist Atheist. I especially enjoy his early work, The Faith to Doubt. His most recent book is Secular Buddhism: Imagining the Dharma in an Uncertain World. Staff: On Being is: Chris Heagle, Lily Percy, Mariah Helgeson, Maia Tarrell, Marie Sambilay, Malka Fenyvesi, Erinn Farrell, Laurén Dørdal, Tony Liu, Brettina Davis, Bethany Iverson, Erin Colasacco, and Kristin Lin.